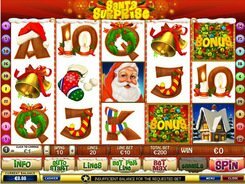 A Christmas-themed Santa Surprise slot developed by Playtech leaves you feeling the foretaste of holiday, miracle and Christmas gifts. The five-reel twenty-payline video slot itself presents you with a marvellous jackpot gift of $10,000. You can adjust a coin denomination in a range of $0.01 to $2, with a top wager per spin reaching $400. The wild is represented by the Santa Claus symbol, with five of them on a payline awarding a jackpot of your line bet times x10,000. The Santa’s House is the scatter. 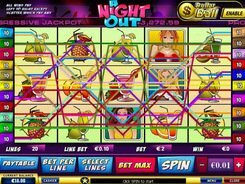 Getting two or more scatter symbols in any position grants you a win of x2–x500 your total bet. Ten free spins start when three or more Santa’s Houses hit anywhere on the reels. 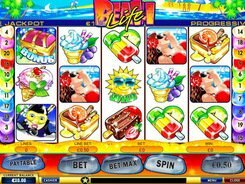 During the free spins round all the amounts won will be tripled. It’s not Christmas without gifts. 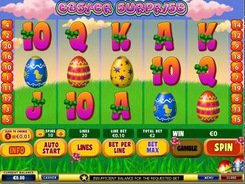 Santa Surprise video slot gives you a chance to win top prizes in the Bonus round. It is triggered when 3 or more BONUS symbols land on the reels in a consecutive order. You must pick a random gift from under the Christmas tree. Clicking on the gifts gives you the chance to win cash prizes. The number of gifts you can pick (a maximum of five gifts) depends on the number of bonus symbols that have triggered the feature. PLAY FOR REAL MONEY!